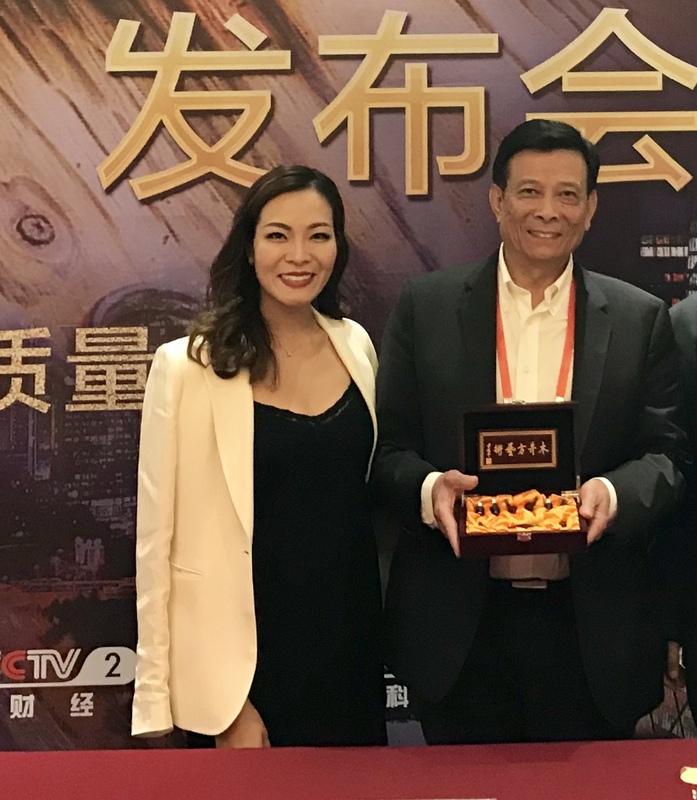 Above: Mr Man Kit Ho, accompanied by company successor Jennie Ho, received 2018 Honorary Award from National Television of China for his exceptional contributions to Craftsmanship and Fine Engineering in lifetime achievement. Documentary of Woodwell Tools will be aired nationwide in Fall 2018. For those who doesn’t know you yet, tell us a bit about yourself and your tools. 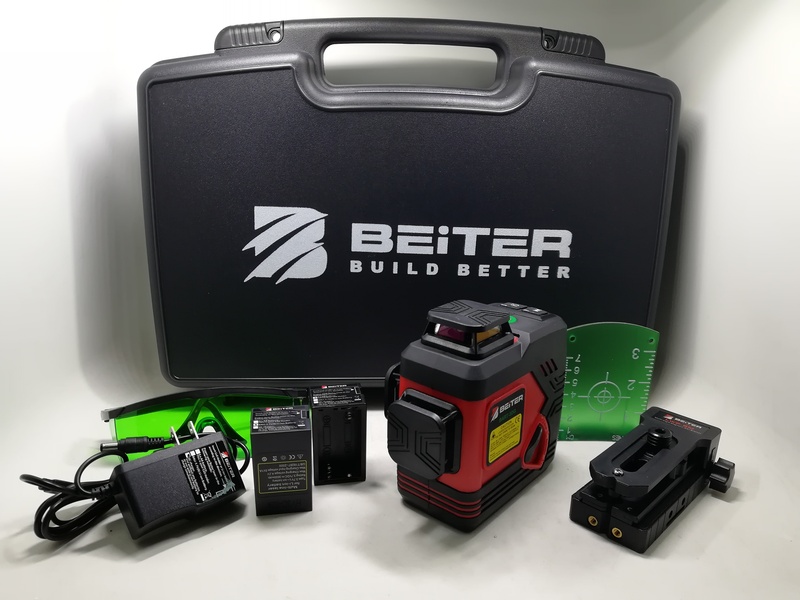 Jennie: I’m the Founder & CEO of Beiter Technologies USA based in San Francisco, California, which manufactures and specializes in professional leveling and surveying equipment. Our best selling laser level, the “BART-3DG II” is consistently rated as the brightest and most user-friendly green laser level by our general contractor customers worldwide. Jennie: My father, Mankit Ho, was a carpenter and a GC. He started his tools manufacturing business, Woodwell, 36 years ago from scratch, back in 1982. As the oldest child in the family and the one resembling my father’s entrepreneurial personality the most, I shadowed him to international trade shows and customer visits since I was 16. 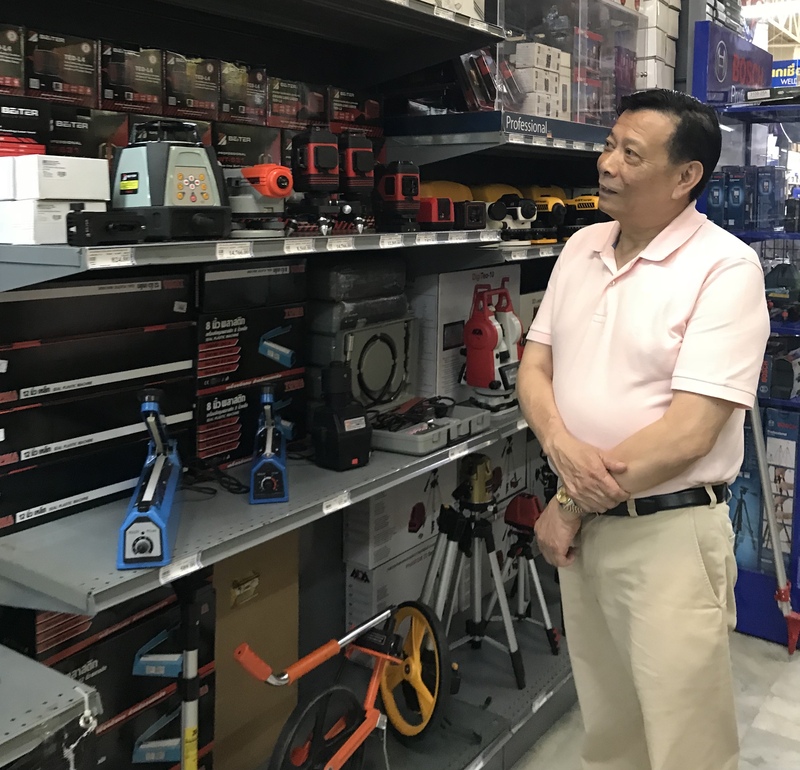 I’ve witnessed the company’s growth from woodworking tools, to tile cutters, to laser measuring tools, to now power tools. In 2011, I took over the company’s management role and started to restructure the business to make it more transparent and customer-focused. What’re your biggest obstacles and how do they help you? Jennie: Being in a manufacturing business is never easy. People tend to have misperceptions on our role as a manufacturer. Some big importing companies come to us expecting nothing but the lowest price, then they would sell the products with high mark up after a large spending on marketing. While these well-known brands definitely help the volume, their minimal technical knowledge pushes the entire industry to a price war and discourages quality and innovation. Very unhealthy. For some end-users, they are still skeptical on the Made-In-China label, which I can totally understand. Some of the products made in China are in bad quality due to the reasons I mentioned above. But I have to say, there are always good and bad factories in all countries. In fact, a lot of goods we use, only makes sense to be made in China because of the entire supply chain ecosystem. I recognize there’s a huge communication gap between manufacturers and end users. Traditionally manufacturers are “the best kept secret” of brands. They want to hide the roots of the supply chain as deep as possible. Hence, customers almost have no access to understand how and why their tools are made in certain way. Factories also have no idea on user experience to make better products. For years, I saw poor performance in some regions but got no answer from the middle-parties explaining why. Coming from frustrations and being obsessed with user experience, I finally created our own in-house brand, BEITER. And these days, through social media and our direct sales website, customers can communicate with us easily. They can also buy the tools directly from us, knowing every dollar they spend goes to the high quality parts in their tools, not advertisement or high management’s commission. This changes the entire game in the industry. What drives you? In other words, what keeps you in the business? Jennie: Good question, ha! Like I said, working at a factory is tough, being a minority and a woman makes it even harder. I’m basically working between the production and sales world, living a very packed work schedule. But I enjoy the challenges and people I get to meet along the way. Every time I come to a hurdle, I think of my father who founded this business with almost nothing, and my 200 employees who have been with us for more than 20 years. I then ask myself “how can I best take care of them and their families.” It helps clarify all doubts. I know I have to prolong Woodwell’s and Beiter’s legacy. Jennie: I don’t think of ourselves as successful. There are many definitions of success. If we look at revenues, there are many tools companies out there that generate way more sales. But if we look at customers’ satisfaction, we do pride ourselves to be the No.1 brand our customers trust for years and years and would recommend to friends. In fact, we treat our business partners almost as well as we treat our family, making sure they share the same values and that we can grow together. In my team, we invent the word “friendomers” for customers who we enjoy hanging out with, just like our close friends. For someone who wants to get into your field, what advice would you give them? Jennie: Well first, get very clear on what aspects in the Manufacturing or Sales & Marketing field excite you. Once you have a clear vision, look out for an internship or a short-term project to test the fit. Small to mid-sized companies like mine, value culture and quality of staff a lot, so we do not hire often. However even if you don’t see any opportunities posting, reach out to the owner or GM of the business with your track records and pitch how you can potentially utilize your strength to advance the business. Keeping a humble and professional manner always help. And lastly, doing over talking. Always put your thoughts into actions. People can see. Who are your role models, or mentors? In life, I have met many great people in all ages along the way whom I honor as my mentors. I especially respect people who are compassionate, sensitive and confident to inspire others, in their most humble way. They might not even know but they do help shape who I am today. I also love to read. Ideas from entrepreneurial authors like Tim Ferriss and Seth Godin have made a profound impact in my early career. My father checking on Beiter laser’s distribution in Thailand. Any important message to our audience? Jennie: Will be my own motto: Don’t fake it when you can make it. Confidence comes from authenticity. When we do works from true heart, connection and trust come naturally. What you have for breakfast? I don’t usually eat breakfast as a straight intermittent fasting practitioner. But I can’t say no to coffee, especially Pike Place Roast from Starbucks. Straight black. I can indulge 5 cups of that during trade show. If you are a superhero, which character will you be or want to be? Most people will associate me with Wonder Woman or Lara Croft. But if gender isn’t a concern, I’d love to be Dr. Strange. I’m passionate about many things in life and obsessed with planning and time management. Will be cool to have his academic knowledge and super power to travel through time. The international bestselling laser: BART-3DG II, with breakthrough 3 sources of power system: alkaline batteries, rechargeable battery, and direct-current charger. You will never run out of power again. Check out some videos here about Beiter Laser! Interested in learning a little more about laser diodes? Watch these 2 videos where one of the leading experts on laser technology, Jennie Ho, talks about the difference in laser beam colors and frequencies. Find out why laser beams are all different colors, and what it means. Part 2 – See Jamie Sikorski of Cadex Tools asking Jennie all the questions! Check out the factory where the lasers are made! If you are interested in purchasing the Beiter Laser line, click the link below! The PackAid system allows you the ability to securely mount the original Milwaukee Organizer box to the new Milwaukee PackOut System, in just about 5 minutes of time. Although you can retrofit this system to work with other boxes yourself, we will soon have a “universal system available as well as other systems for specific boxes. Connect your old Milwaukee Organizers, to the new PackOut system! Here is the link to purchase this innovative solution to connect your 2 box systems! Is tool and gear organization a new trend? Are you looking for Foam Inserts for your Brand Name Tool boxes? Kaizen Foam made by FastCap has been around for a while now, but I believe we have taken it to a new level! The word Kaizen means “Continuous Improvement” in Japanese. I believe we have improved the foam 10-fold. We have removed the struggle of cutting out shape for you. It is close to impossible to achieve this level of accuracy cutting it out by hand. Not to mention, a time saver! Some of the brand names carried are as follows: Festool, DeWalt, Ridgid, Bosch, Kreg, Makita, Plano, Gun Vault, and more…..
KaizenInserts.com is a subsidiary of BPway.com, llc. BPway.com works directly with FastCap LLC as both a product dealer and a product developer. Kaizen Inserts are manufactured using the LEAN philosophy of Just-In-Time. There is no stock. All items are cut out by a CNC machine and generally shipped within a 24 hour period. More to follow on this process! I had the pleasure of meeting these guys at the Woodworking Shows. Give this video a quick watch so you know what you can expect to see, or, what you will miss! How I fixed a hole in a commercial vinyl floor using FastCap’s SoftWax kit. SoftWax is a great way to fill holes in finished woodwork! The refillable kit comes with 20 blendable colors, a WaxWedge and a buffing pad. The hard shell case keeps the wax where you want it, when you want it.